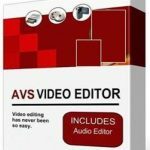 VSDC Video Editor for Windows Free Download. 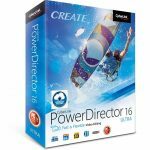 It is full offline installer standalone setup of VSDC Video Editor v6.3.2.959.960. 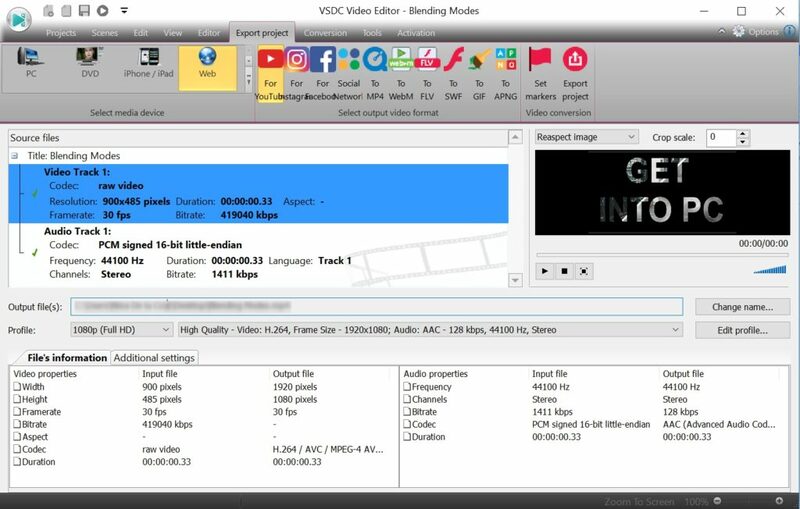 VSDC comes with a video recorder, screen recorder and a slideshow creator, yet, most people know it as an impressive video editing tool. In comparison with other free pieces of software, VSDC provides an incredibly rich feature set. 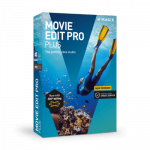 It has a ribbon-style interface – so once you open the editor for the first time, finding the most essential tools will be effortless. You can import images, video and audio files of any format and add them to the scene right away. VSDC has a built-in converter, so you don’t need to worry about not being able to open footage from a certain device. 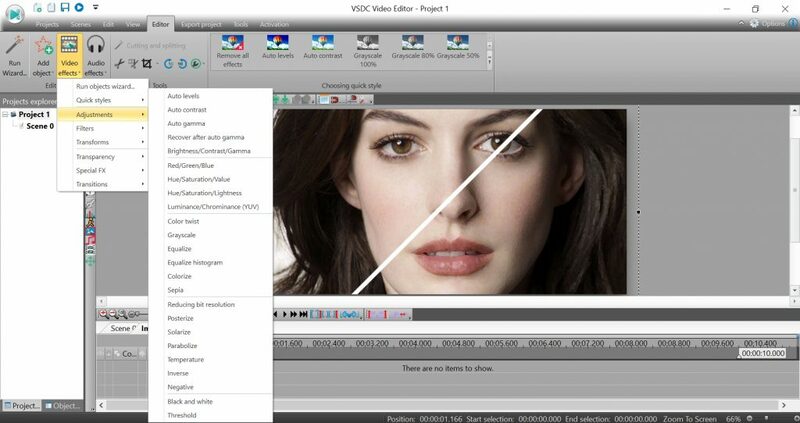 The quick access menu on top includes cutting/splitting/rotating, quick color filters and video/audio effects. 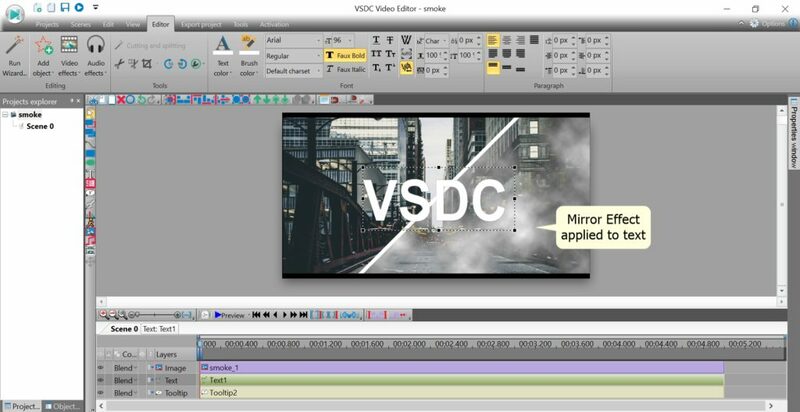 In VSDC you can add text objects, subtitles and tooltips. The menu for text editing looks decent, and you can play around by applying adjustments, transformation or special effects to text objects the same way you would apply them to images. 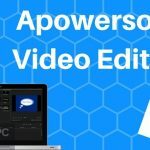 It appears quite useful if you need to add an attractive intro or create smooth transitions between chapters of your video. 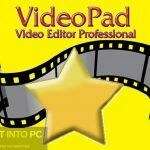 For those looking for more advanced techniques of footage editing, there is plenty of tools available. If the set of quick color filters in the upper menu is not something you are looking for, you can play around with gradient color correction and blending modes. Basically, the idea of blending modes is combining multiple images or videos into one. You can achieve fantastic effects with this tool. Text mask on the screenshot below is one of them. 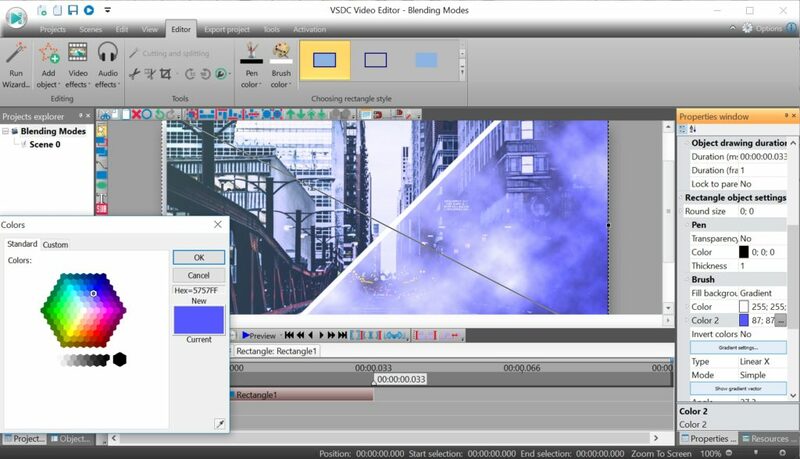 If you want to test gradient color correction we recommend checking VSDC YouTube channel for a detailed step-by-step video guide, because VSDC interface can be tricky here. Once you’ve finished working on the project, you can choose between saving it in a specific format or uploading it directly to YouTube. If you are planning to publish your video on Vimeo, Twitter, Facebook or Instagram, there are pre-configured profiles for these social networks as well. Every parameter including bitrate, codec and resolution can be modified manually on the output – so you can apply the best export settings according to your needs. 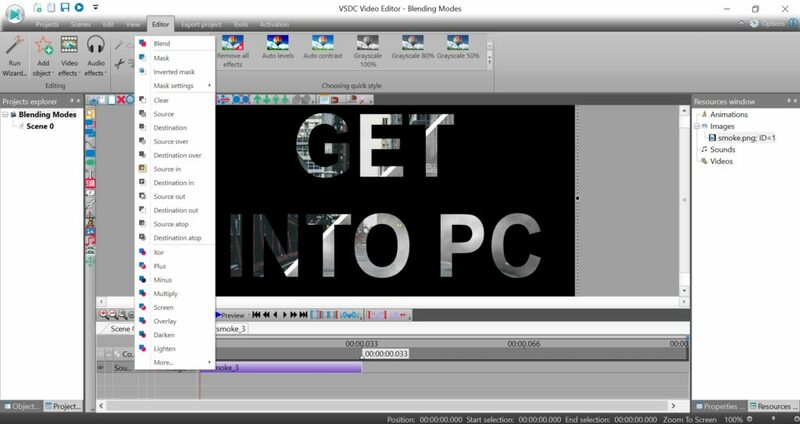 You can read more information about VSDC on its official free video editor webpage. Below we have enumerated the key features available at zero cost. Transition and object transformation effects. Color Correction – quick filters and advanced tools. Wide choice of export formats. Pre-configured profiles for uploading video to social networks.